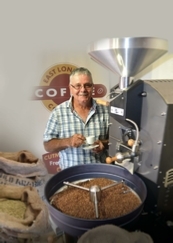 When I was as young as I can remember my father would take me into a famous Port Elizabeth coffee roastery called Masterton’s where he would select his coffee. It would be my chore in the evenings to go to the back door and grind beans for my parent’s after-dinner coffee using an old Spong grinder. Yes, I remember moaning and groaning but this was back in the day when children undertook many chores such as laying and clearing tables, doing the dishes and making the beds! The Spong grinder, a cast iron black thing that loomed threateningly above my young head, was attached to the top half of an old stable door. Now this was fine for adults but I was a little small and I remember having to grind with the handle way above my head - this while the old stable door also seemed to have a life of it’s own. Between avoiding the edge of the door, the handle of the Spong and a shower of ground coffee when the small tin cup hovered precariously above my head, was no small feat I tell you. As I grew, so did my passion for coffee. From the Italian stove top brew-pot used by my parents, a gift from grand-father Eric Grier who had just returned from a life in Italy, to the modern four-star guest house now owned by us where, not by coincidence, we are proud to serve some of the worlds best coffee. The enjoyment of coffee is a multi-facetted process. In our case it starts with the selection of the best green beans available. Once this is done, we undertake sample roasts and taste (or ‘cup’ as it is known in the coffee world) the different coffees in order to design our Signature Espresso and Filter Blends. Every bean has different characteristics, some are more full bodied than others - some have a stronger aroma and others a lively and pleasant aftertaste. We try to ensure that the combination is better than each stand-alone coffee. Our Signature filter and espresso blends are our flagship product. We also now have single origin coffee available in our Roasters Reserve range. By way of explanation, as a roaster I am fortunate enough to be able to brew some special coffees exactly the way I like these. We have very recently launched Roasters Reserve which is the very same coffee that I prepare for our family and guests. Enjoying every step of the coffee process. After selecting and roasting my own beans, how do I brew my own coffee? 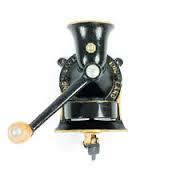 One of my personal favourite is the old style Bialetti stove top Italian brewing system, often referred to as a Mokka Pot. A little like hard work perhaps, especially on a cold winters morning but hey, the process itself is relaxing, almost therapeutic in fact. Grinding the beans and then loading up the little machine with water and ground coffee. Waiting patiently for the gurgle while you gather your favourite cup…the aroma of the brew and the process of pouring as you watch this strong and flavoursome brew fill your cup. Ahhh! These are simply awesome! We are appointed distributors of the Swiss made Jura automatic bean to cup coffee machines. They are simply engineering masterpieces. They look good, last long and are supported by an extremely professional team of technicians. We also have two of these, one in the Guest House and one in our own kitchen.